The presentation continues with a look at the Rusyn communities in northern Cambria County and eastern Indiana County. 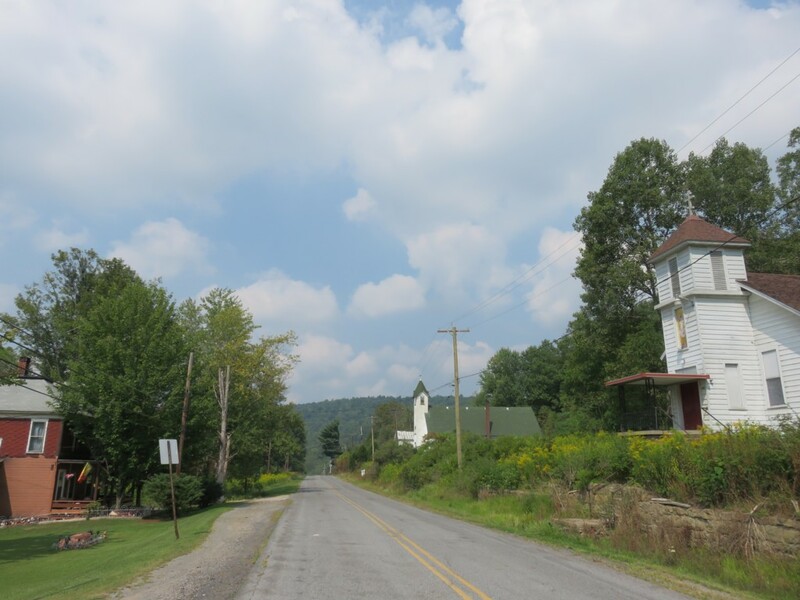 Rusyns settled northern Cambria County to work in the local coal mines in the early 1890s. Their first organization was the St. Nicholas Greek Catholic Lodge of Hastings, which had members from Barnesboro and Spangler, and joined the Greek Catholic Union in 1894. (Barnesboro and Spangler each had a GCU lodge in 1901.) 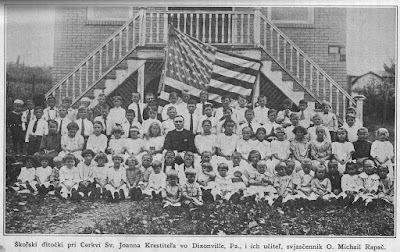 After 1895 they were visited occasionally by priests from Johnstown, or traveled to Johnstown, for the sacraments. In 1897 they established a church in Barnesboro, St. John the Baptist. This church served Rusyns in the Barnesboro/Spangler area (including Carrolltown, Bakerton/Elmora, Hastings, Cymbria, Cymbria Mines, Emeigh, Emeigh Run, Mosscreek/Marsteller, Heilwood, Alverda, Colver, and St. Benedict) as well as Patton, Clymer, Dixonville, Arcadia, Glen Campbell, and Urey. 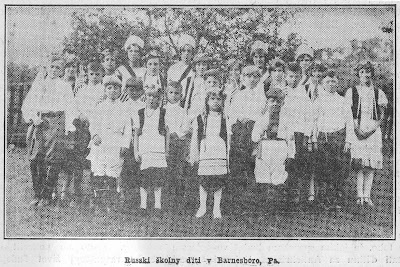 The Rusyns in Barnesboro and Spangler primarily came from the Prešov Region and the Lemko Region. From the Prešov Region, Šaryš County was the area of origin of the large majority of the local Rusyn population: from the villages Milpoš, Mal’cov, Hanigivci, Vislanka, Gerlachiv, Čirč, Vŷšnij Komarnyk, Nyžnij Komarnyk, Krajnja Bŷstra, Ladomyrova, Vŷšnja Pysana, Hinkivci, Krajnja Poljana, Prykra, Vyslava, Krušinec', Vagrynec', and Vŷškivci, with a smaller group from Orjabyna, Spiš County. From the Lemko Region the settlers came primarily from Zubryk, Žegestiv, Losje, and Krynica (Novyj Sanč County); Zavadka Rymanivska and Čystohorb (Sanok County), and Vetlyna, Smerek, Hilske, Zatvarnycja, Maniv, Berezkŷ, and Stuposjanŷ (Lisko County). St. John the Baptist Greek Catholic Church on Chestnut Avenue in Barnesboro. 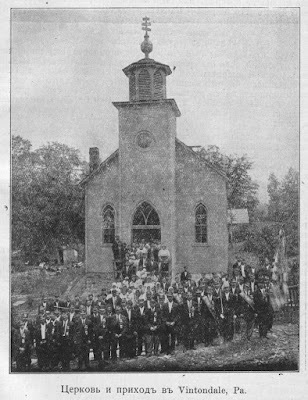 The original church built in 1897 burned down in 1924. This second church was built in 1926. 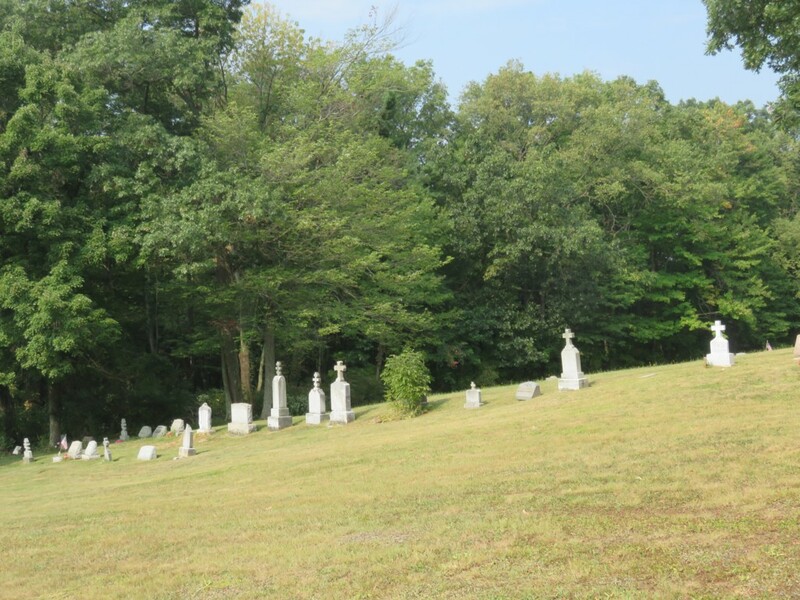 St. John the Baptist Cemetery, one of the oldest Rusyn cemeteries in the region. Greek Catholic Union Uhro-Rusyn Sisterhood, 1917, with cantor Jurij Svyda. Rusyn school children of St. John's parish, 1930. The influential position of the Greek Catholic Union in St. John's parish led to a dispute with the pastor, Father Viktor Kovaliczky, in 1910, over his support for the Galician Ukrainian Greek Catholic Bishop Soter Ortyns'kyj. The GCU mounted a nationwide campaign to oppose and recall Bishop Ortyns'kyj. 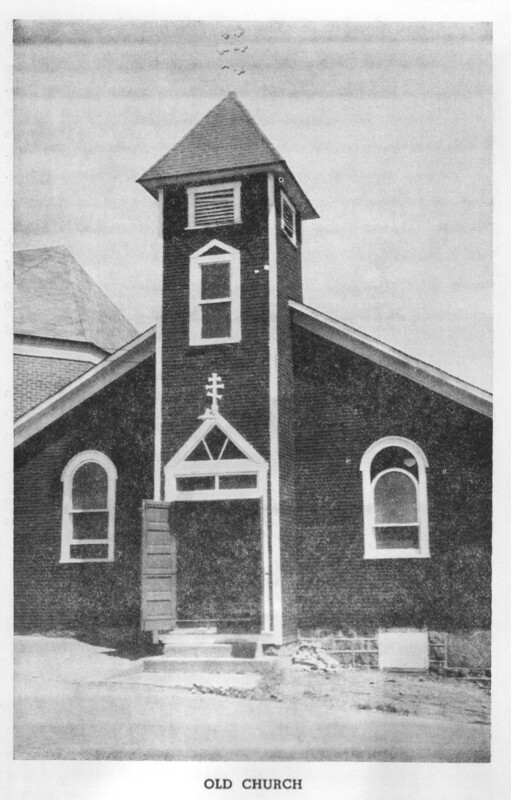 The opposition in St. John's parish and revolt against the pastor became so rancorous that Bishop Ortyns'kyj imposed an interdict on the parish, effectively closing the church. 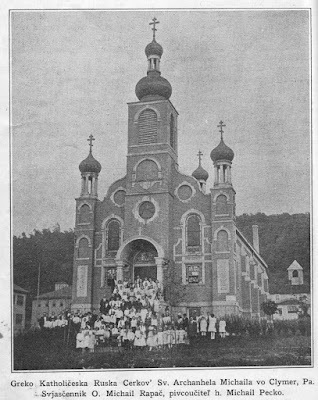 Father Kovaliczky and his supporters organized a new parish, St. Mary's Immaculate Conception, in 1913 in Spangler on a hill looking directly toward St. John the Baptist Church. Thereafter the interdict on St. John's parish was lifted, but the separation was irrevocable. 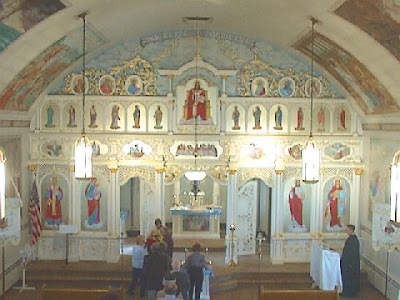 St. Mary's parish included not just Galicians (most of the Lemko families from Novyj Sanč, Sanok, and Lisko Counties and others) but also many families from Šaryš County (especially Krušinec'). Its first church was built in 1914. In 1967-68 a new St. Mary's Church was built, a replica of a Carpathian wooden church of the Bojko style (although the roots of most of the members of the parish were in the Lemko Region). The exquisite church, perched on a hilltop, is a local landmark and somewhat of a tourist attraction. Rusyn immigrants settled in Patton, Flannigan (a section of Patton), Ashcroft, and St. Boniface in the early 1890s. They came primarily from Zvala and Stružnica, Zemplyn County; Šaryšske Jastrabje, Vislanka, Šambron, Legnava, Pitrova, Kuriv, Vŷšnij Komarnyk, Krajnja Bŷstra, and Prykra, Šaryš County; Ljuta, Už County; Mylyk and Zubryk, Novyj Sanč County; Oslavycja, Sanok County; and Kryve, Lisko County. They organized a lodge of the Greek Catholic Union in 1896, the Brotherhood of Saints Peter and Paul. 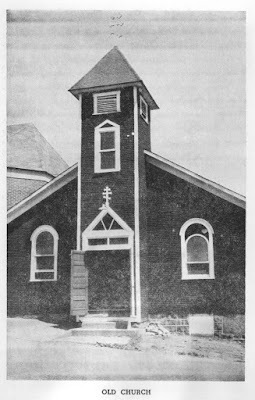 While they attended St. John the Baptist Greek Catholic Church in Barnesboro upon its 1897 founding, in 1900 they founded in Patton Ss. Peter and Paul Greek Catholic Church. 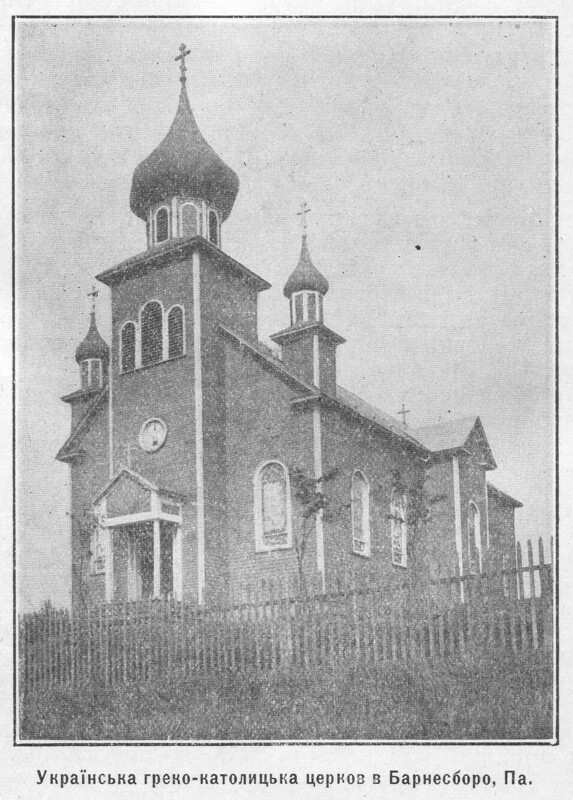 A dispute early in the life of the Patton parish led in 1904 to the founding of a Russian Orthodox parish, also named for Ss. Peter and Paul. Most of the members of the new parish were from Zvala, Zemplyn County. The Brotherhood of Ss. Peter and Paul, Lodge 36 of ROCMAS, was founded around the same time. 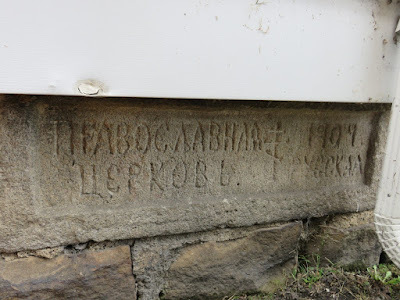 The Orthodox church's cornerstone, in Russian. 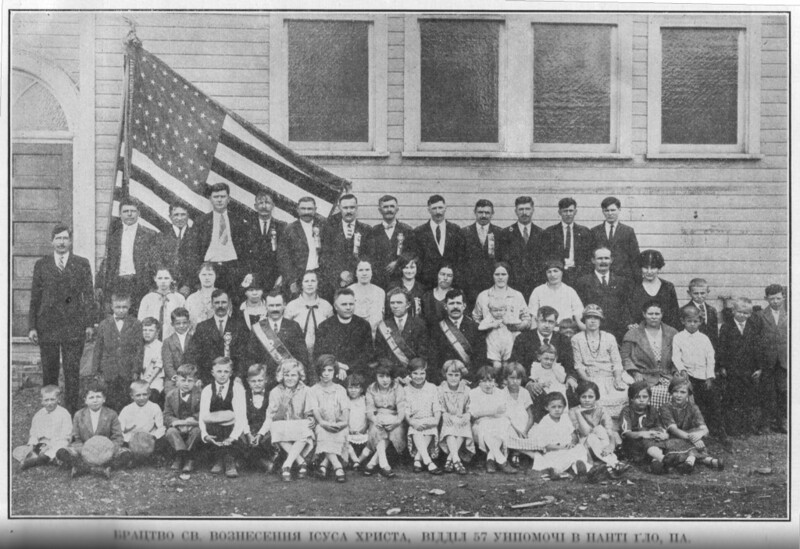 Rusyn immigrants were already living in Vintondale, at the western edge of Cambria County in 1896; the largest number were from Velyki Lučkŷ, Bereg County; the next largest group was from the Maramoroš County villages of Čumal’ovo, Uglja, Drahovo, and Selyšče. Several individuals also came from Paryzivci, Zemplyn County, and Hinkivci, Šaryš County. Just to the west across the Cambria-Indiana County border, the town of Wehrum and its mines were established in 1901. While these early Rusyn settlers were communicants of St. Mary's Greek Catholic Church in Johnstown after its 1895 founding, most of the local Rusyn immigrants then founded Holy Trinity Russian Orthodox Church in Wehrum around 1902, the first such Orthodox parish in the region. Just four years later, the mines in Wehrum had nearly shut down. 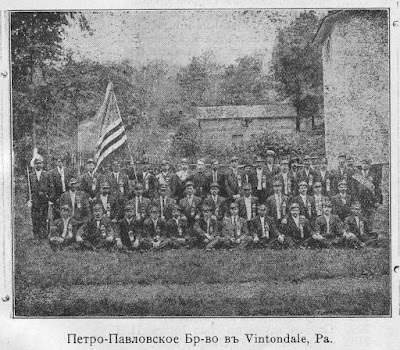 Most of the miners, including the immigrant Rusyns, moved to nearby Vintondale. There they built a new Orthodox church in 1907. Wehrum and its coal mines had completely shut down and were abandoned by 1930. 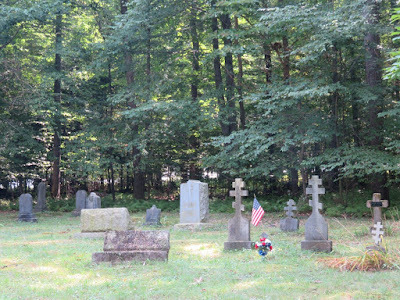 All that remains today of Wehrum's Rusyn immigrant presence is the parish cemetery, nearly-abandoned and largely overgrown in the woods. 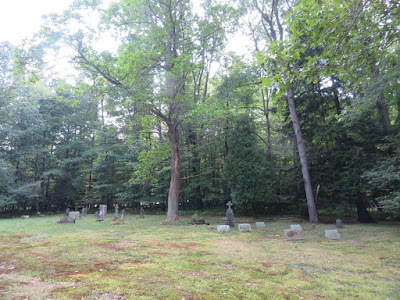 The cemetery continued to be used by the Vintondale church for a number of years after the church in Wehrum had ceased to exist. 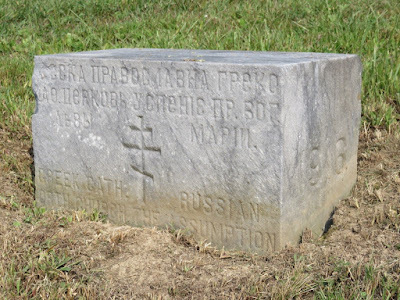 The gravestone inscriptions here are finely detailed, most in Rusyn with the deceased's village and county of origin. 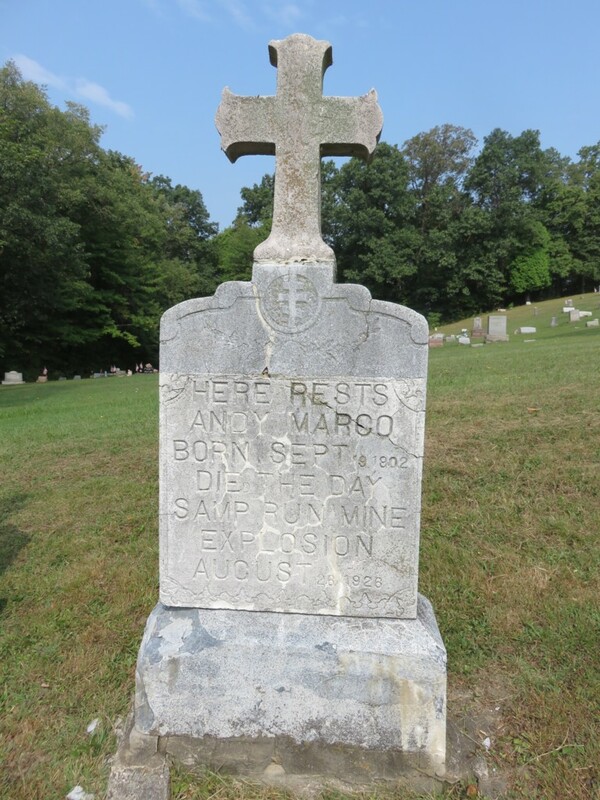 For example, this grave of Jurko Varga, son of Vasyl', from the village Velyki Lučkŷ, Bereg County, Hungary; died Nov. 30, 1913, age 23; Born 1887. Peace to your remains! Many of the graves are in the form of burial mounds, some with iron enclosures. 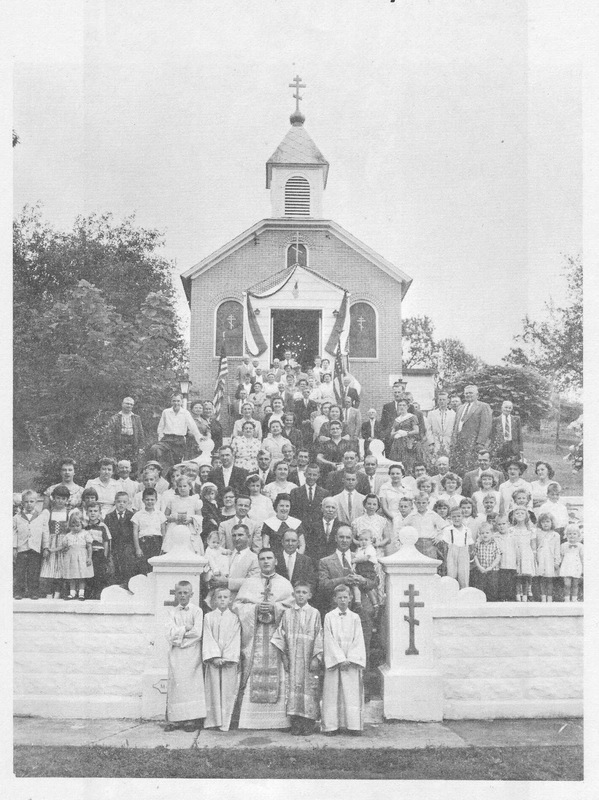 An early photo of the new church and its congregation after the move to Vintondale. The Ss. Peter & Paul Brotherhood (Lodge 85 of the Russian Orthodox Catholic Mutual Aid Society) in Vintondale, 1912. Ss. Peter & Paul Church as it appears today. The first Rusyn fraternal lodge in this area was Lodge 250 of the GCU, the Brotherhood of St. Michael, founded ca. 1904. With the bulk of the local Rusyn population joining the Russian Orthodox Church between 1902-1907, new brotherhoods of the ROCMAS fraternal organization were founded in Wehrum (Lodge 64, St. Nicholas, 1905) and Vintondale (Lodge 85, Ss. Peter and Paul, ca. 1908). Relative peace in the congregation was disturbed when two rival parish cantors led factions against each other for control of the parish and the right to appoint or dismiss the parish priest; a lawsuit was filed by one faction against the other. 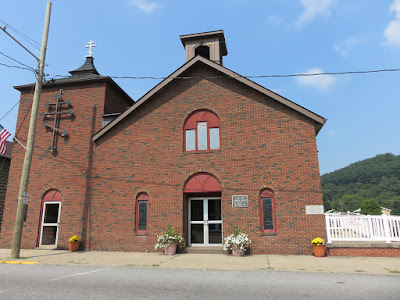 At this time, Russellite (Jehovah's Witness) missionaries began to visit Vintondale, probably inspired by success they had had in the Monongahela River Valley among Rusyn immigrants from Velyki Lučkŷ, Bereg County. The large number of Velyki Lučkŷ natives in Vintondale resulted in some success in conversions to Russellism. 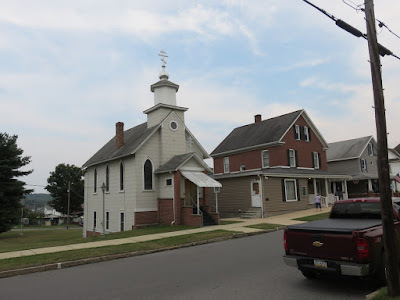 Today it is said that the members of the Kingdom Hall of Jehovah’s Witnesses in nearby Mundy’s Corner are mainly the descendants of these Rusyn converts. Eventually, peace was restored to the Ss. Peter & Paul parish and today, while small in membership, the church remains open and has weekly services. The Nanty Glo area was settled by Rusyn immigrants around 1897, including the villages of Twin Rocks, Expedit, and Cardiff, to work in the local coal mines. 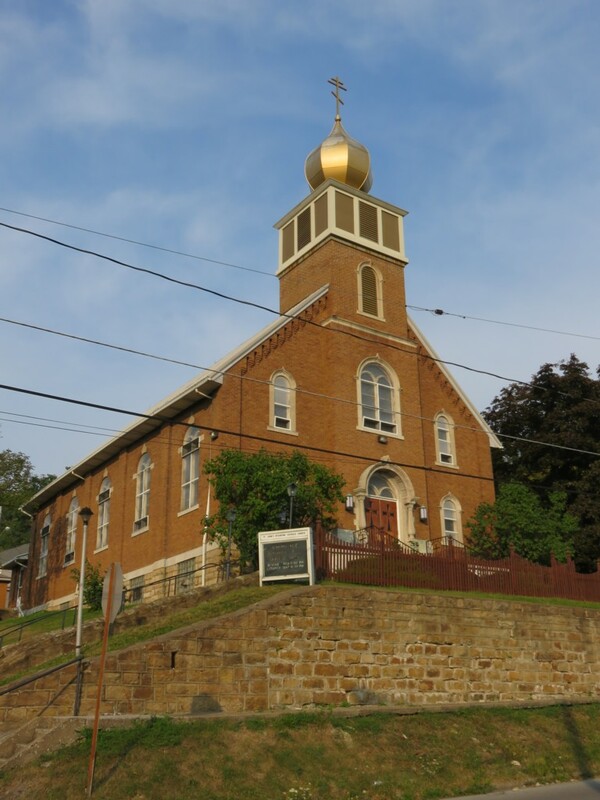 While some traveled to Wehrum and Vintondale’s Orthodox churches for their spiritual needs, most remained Greek Catholic and traveled to Johnstown or later to South Fork’s St. Michael’s Church (founded 1905). Some of them organized a branch of the GCU in 1909, Lodge 401, Dormition of the Mother of God. 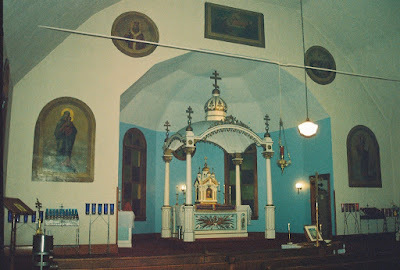 In 1919 the Nanty Glo-area Rusyns established their own parish, St. Nicholas Greek Catholic Church. The local Rusyn community was made up of people mainly from these villages: Čirč and Vŷšnij Verlych, Šaryš County; Moravany, Zemplyn County; Velyki Lučkŷ, Bereg County; Drahovo, Maramoroš County; and Kryve, Bereznycja, Bereska, Rajske, and Serednje Selo, Lisko County. The original St. Nicholas Church, completed 1921. After a devastating fire in 1943, a second church was built in 1956. Adjacent to the St. Mary's Roman Catholic Cemetery (in which many Rusyns are buried) is the Holy Ascension Ukrainian Orthodox Cemetery. 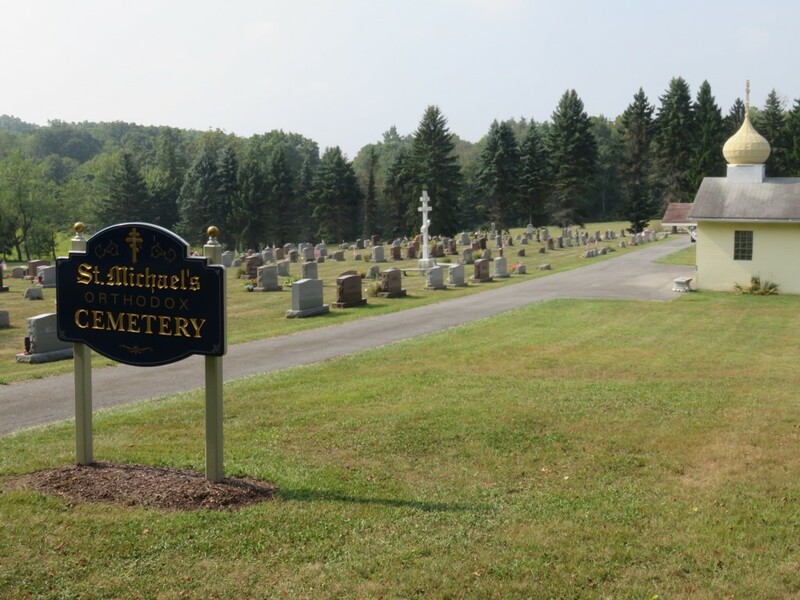 While it primarily serves that parish, many Orthodox Carpatho-Rusyns from neighboring towns and villages are also buried there. 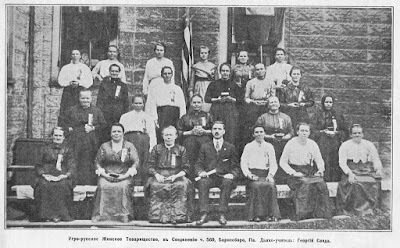 Brotherhood of the Ascension of Christ in Nanty Glo, Lodge 57 of Narodna Pomič (National Aid), later the Ukrainian National Aid Society, 1926. Carpatho-Rusyn immigrants settled the towns of Clymer, Dixonville, and the neighboring coal patches like Starford, Commodore, Idamar, and Possum Glory/Heilwood in the 1st decade of the 1900s. 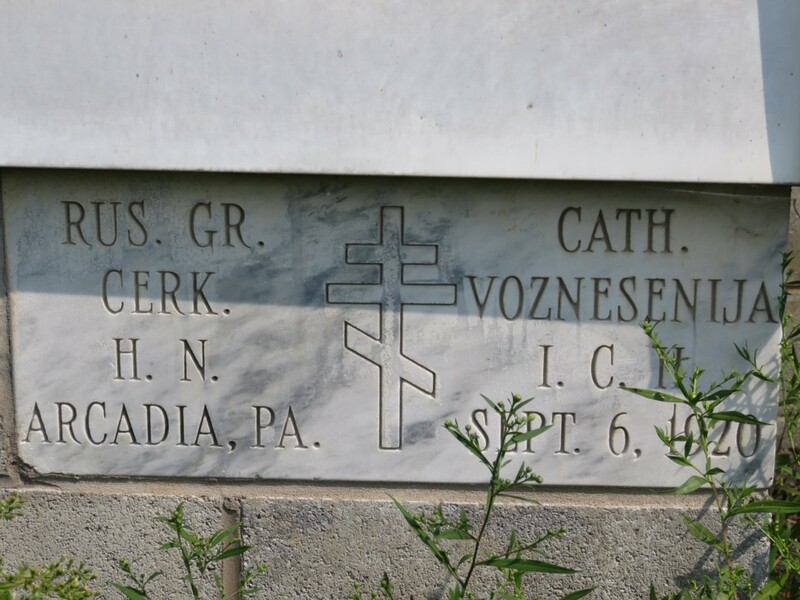 Most of them lived in Clymer and Dixonville; these two groups cooperated in organizing a Greek Catholic parish. 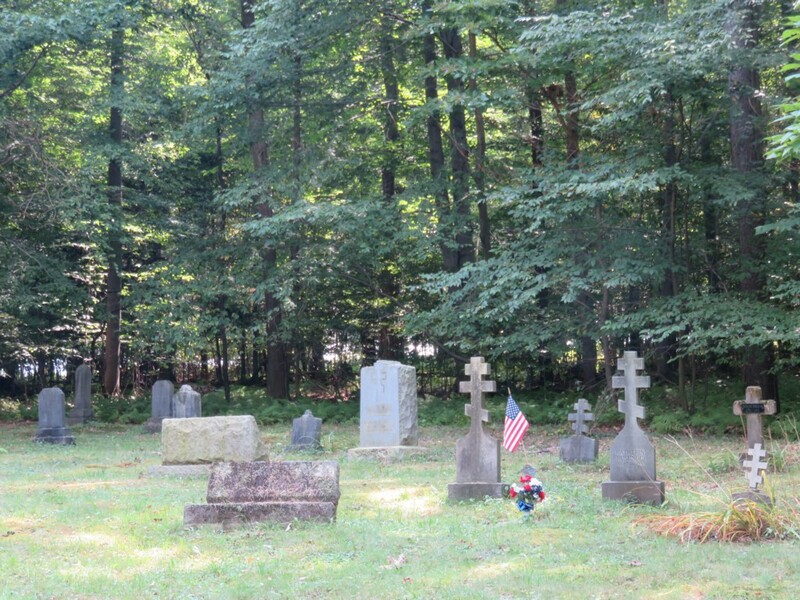 They agreed to locate the church in Clymer, while establishing a cemetery in Dixonville. St. Michael's parish in Clymer was established in 1907, and a one-story foundation was constructed to serve as the church, with the Dixonville Rusyns as integral members. This situation lasted for about 8 years. Fraternal organization lodges also began around this time: St. Michael Brotherhood (RBO Lodge 102 of Dixonville, ca. 1907) St. Michael Brotherhood (GCU Lodge 414 of Clymer, ca. 1909), Ss. Peter and Paul Brotherhood (GCU Lodge 458 of Dixonville, ca. 1909). St. Michael's Greek Catholic Church as it appeared after its completion in 1919, with high towers. The bulk of the Clymer-area Rusyns were from villages in Subcarpathia, especially Šaryš County (Bajerivci, Potokŷ, Hrabivčik, Vyslava, Vŷšnja & Nyžnja Pysana), Vŷšnja & Nyžnja Ol'šava, Zemplyn County, and Bobovyšči, Bereg County. Dixonville's Rusyns were primarily from Lisko County (Rajske, Hilske, Stuposjanŷ, Javorec', Smerek, Muchava, Studene, Tvoryl'ne, and others), and Čirč, Šaryš County. 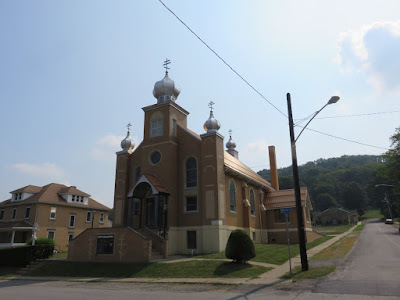 In the 1930s, during the nationwide conflicts throughout the American Carpatho-Rusyn Greek Catholic community over the issues of Vatican-imposed clerical celibacy and ownership of church properties, the Clymer parish joined the new American Carpatho-Russian Orthodox Greek Catholic Diocese. The Rusyn immigrants in Heilwood founded a GCU lodge (Ss. 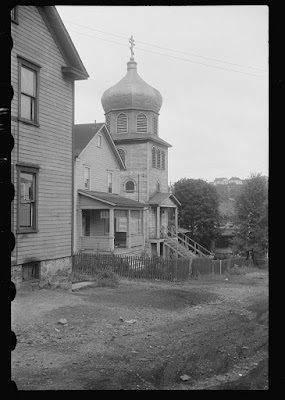 Peter and Paul Brotherhood) in 1905, and were affiliated with St. John the Baptist Church in Barnesboro as well as St. Michael's Church in Clymer and later the St. Mary's Russian Orthodox Church in Dixonville. Some of them, along with a small number of Rusyns in nearby Alverda founded a church in Heilwood in the 1920s, initially Greek Catholic, later Orthodox under the Russian Metropolia and the Carpatho-Russian Diocese. The Heilwood settlers came mostly from Krajnja Porubka, Hinkivci, Prykra, Medvedže, Korejivci, and Krajnja Bŷstra, Šaryš County. St. Michael's Church in Clymer today, with the high towers removed. 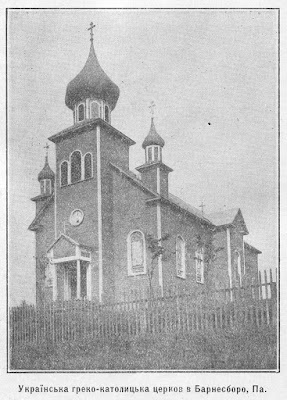 After the Dixonville Greek Catholic church became independently established and switched to the Ukrainian Orthodox Church in the 1920s (see below), St. Michael's in Clymer purchased its own land for a cemetery. 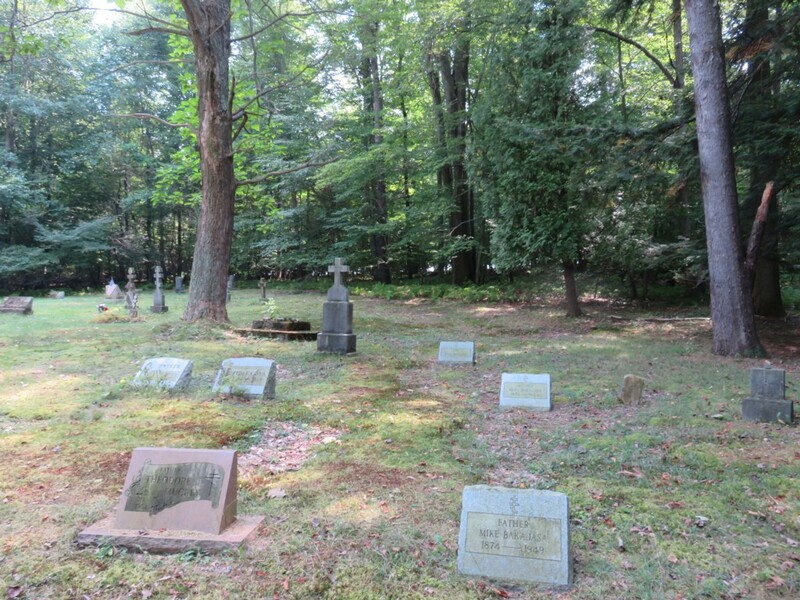 A memorial to a very sad day is found in a row at the back of the cemetery. 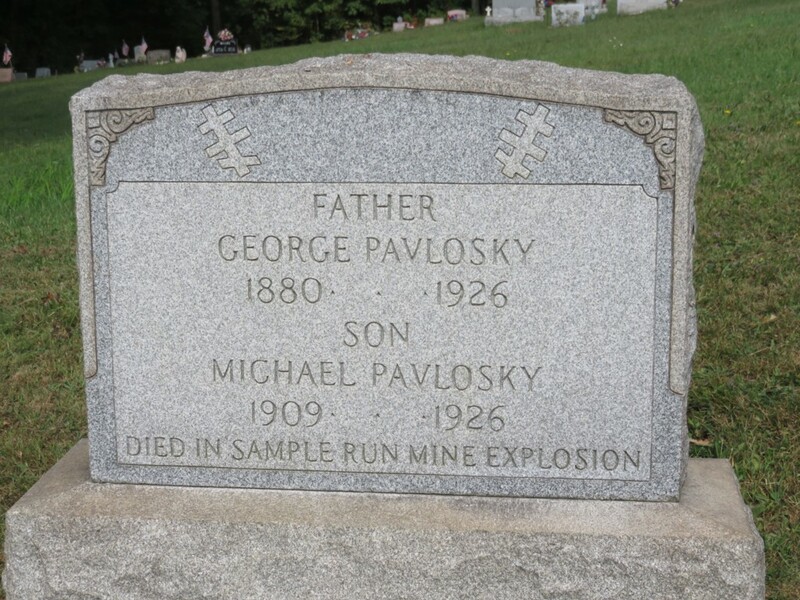 On August 26, 1926, an explosion at the Sample Run mine outside of Clymer killed 44 miners. Among them were a number of Rusyns, laid to rest in a row. 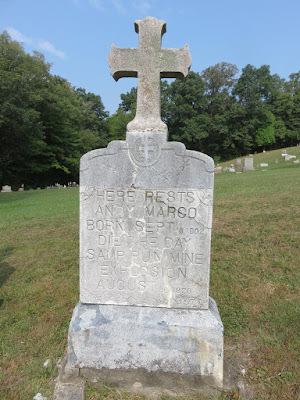 "Here rests Andy Marco... died the day Samp. Run Mine Explosion..."
"At rest, Michael Kollar... 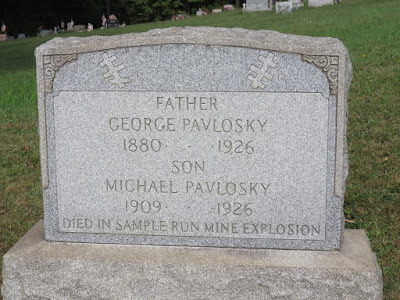 Killed in explosion..."
Pavlosky father and son both killed in Sample Run explosion. 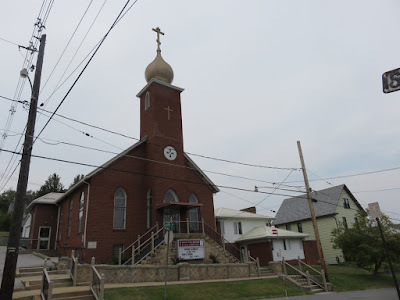 The Rusyn immigrants in Dixonville, having been affiliated with the Clymer church, established their own church, St. John the Baptist, in 1915 and completed the church building in 1919. In 1916, a small Russian Orthodox parish, Dormition of the Mother of God, was founded in Dixonville by a portion of the local Rusyns. This cornerstone is one of the only remnants of the church. 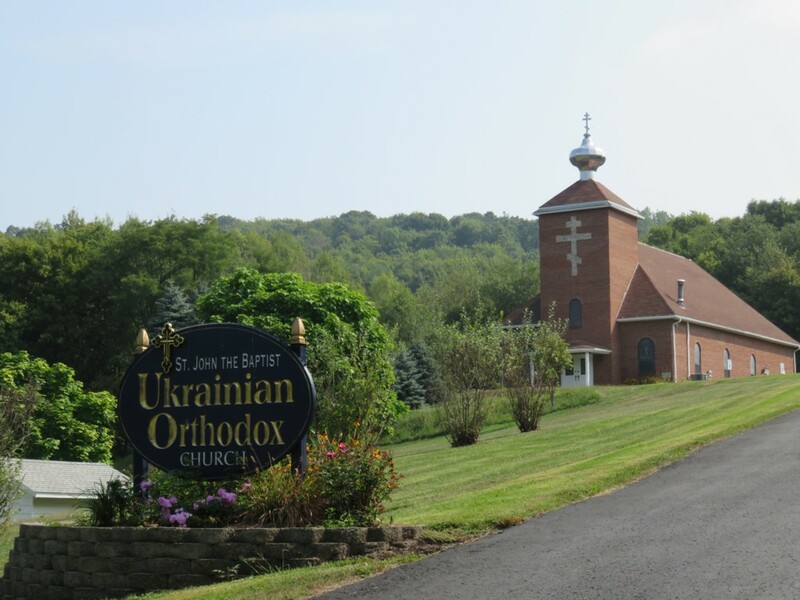 In the mid-1920s, St. John the Baptist parish, most of whose members were from Lisko County, transferred to the Ukrainian Orthodox Church. A new church was built in 1988. 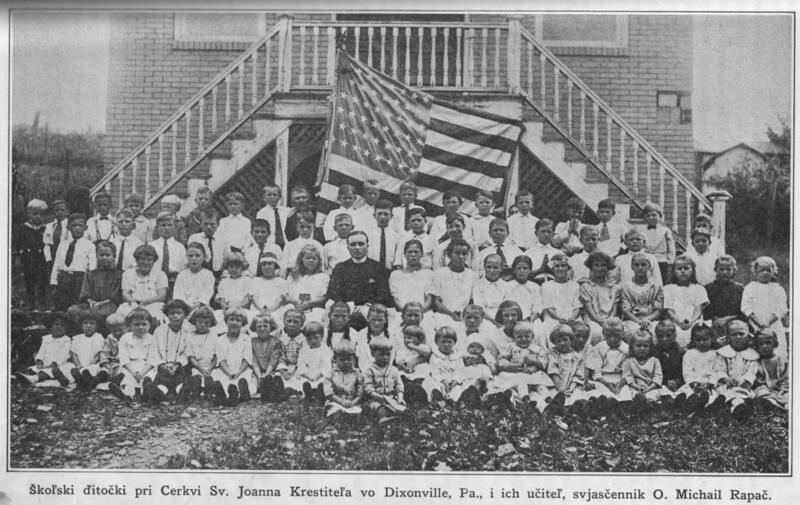 School children from St. John the Baptist Greek Catholic Church in Dixonville, 1924. Pastor was Fr. 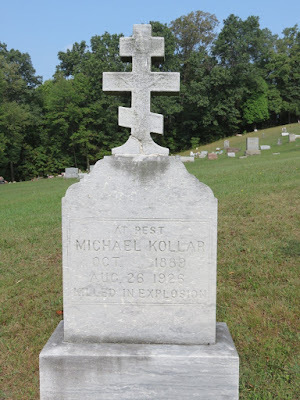 Michael Rapach, resident in Clymer. St. John the Baptist Cemetery in Dixonville, originally the shared cemetery of the Clymer and Dixonville Rusyn communities. 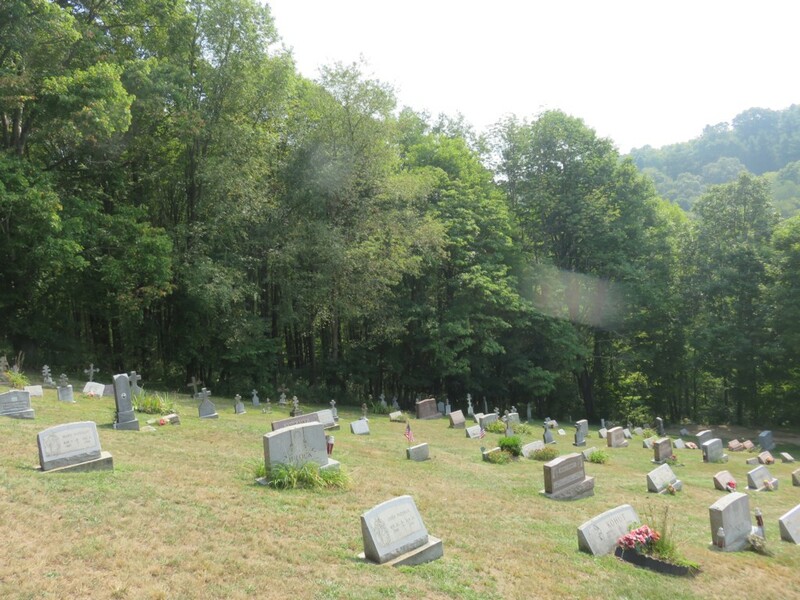 St. John's Cemetery in Dixonville is one of the steepest hillside Rusyn cemeteries I've ever encountered. In 1964, after unsuccessful court litigation to return St. Michael's Church in Clymer to Greek Catholic jurisdiction, a new Byzantine Catholic parish, St. Anne, was established. 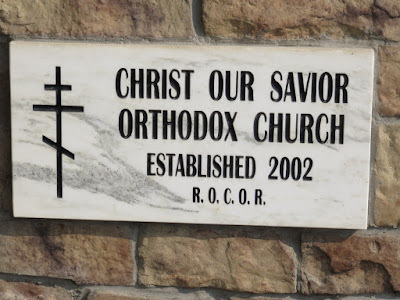 St. Michael's was again the site of dissension in the late 1990s resulting in a new church being formed, Christ Our Savior, this time under the jurisdiction of the Russian Orthodox Church Outside Russia (ROCOR). Arcadia, Glen Campbell, Urey, Wilgus, Logan, and Gipsy were coal patches or villages of Indiana County, north of Barnesboro. Carpatho-Rusyns began to settle in this area in 1899, coming mainly from Lisko County (Javorec, Smerek, Kal’nycja, Studene, Maniv, and others), Šaryš County (Vŷškivci, Potokŷ, Vyslava, Soročin, Mergeška, Vilšavka); Bukovec', Zemplyn County; Slovinky, Spiš County; and the Už County villages Vinne, Pudhorod', and Benjatyna. Initially they received spiritual support at St. John the Baptist Greek Catholic Church in Barnesboro, founded in 1897. But in 1907 their numbers were great enough to support a local parish, the Ascension of Our Lord Greek Catholic Church in Arcadia. By then, several fraternal lodges were active in this area: Three Saints Brotherhood of Glen Campbell (GCU Lodge 53, founded ca. 1896), St. Elias Brotherhood of Urey (GCU Lodge 277, founded ca. 1904), and the St. Michael Brotherhood of Arcadia (GCU Lodge 245, founded ca. 1904). Also, RBO Lodge 120, the Ascension of Our Lord Brotherhood, was founded in Arcadia around 1910. Coming down Arcadia Road toward the center of the village of Arcadia, you will see two churches that once served most of the local European immigrant population; the first is Ascension of Our Lord Church. 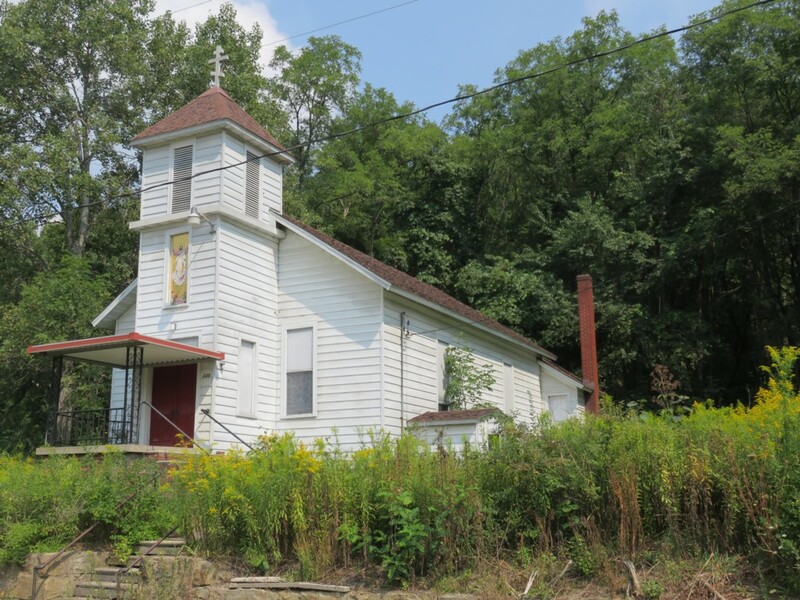 Today the church sits near-abandoned, having closed in 2004, years after the coal mining industry in the area had collapsed. "Rusyn Greek Catholic Church of the Ascension of Our Lord Jesus Christ, Arcadia, Pa., Sept. 6, 1920"
The interior of Ascension Church as it appeared in the waning years of its existence. The parish cemetery is still maintained, although it is nearly impossible to find if you don't know exactly where to look. It's located in a clearing behind a few houses along Arcadia Road a short distance outside of town. 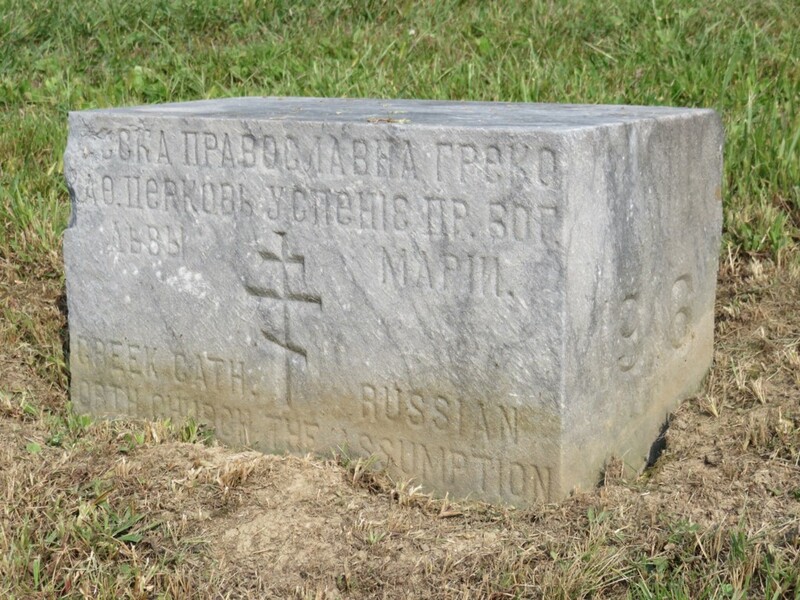 Although the rule of Greek Catholic Bishop Stephen Soter Ortyns'kyj coincided with (or ignited) a movement of Carpatho-Rusyn immigrants to the Russian Orthodox Church, the closest Russian Orthodox parishes were in Black Lick (Indiana Co.) and Patton, discussed above. 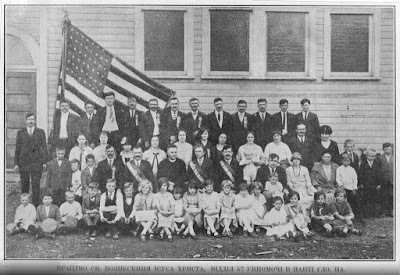 While Arcadia was not close enough to either to be directly influenced, some Rusyns in the Arcadia area founded a local lodge of the Russian Orthodox Catholic Mutual Aid Society (ROCMAS) around 1910. 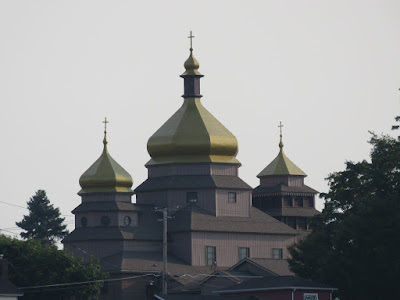 Then with the arrival in the area in 1913 of a Russian Orthodox priest of Rusyn background, perhaps related to the interdict that closed the mother church in Barnesboro, the "return to Orthodoxy" movement among Rusyns in the U.S. came to this part of rural Indiana County. 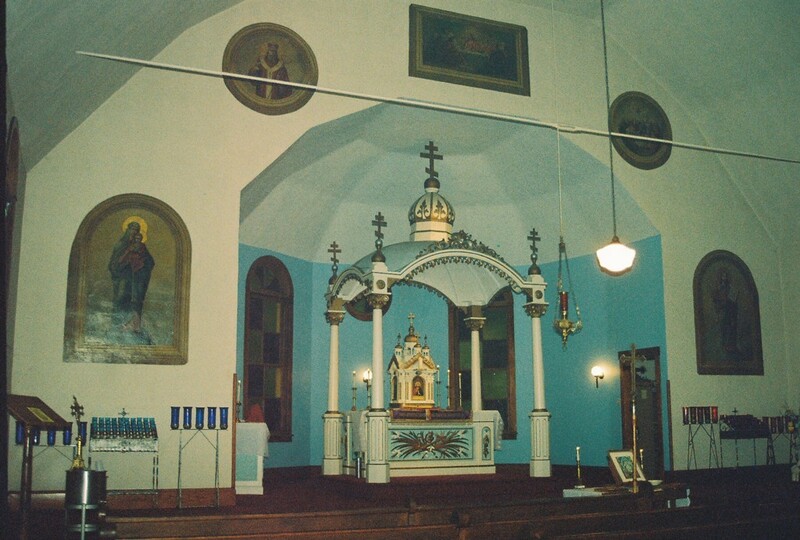 For several years Holy Ascension parish was served by an Orthodox priest, but legal proceedings turned the parish back over to Greek Catholic control. 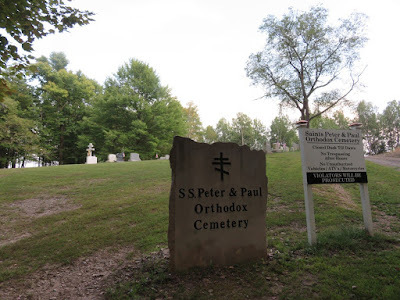 In 1916 some of the members of the Arcadia church established a new Orthodox parish, Saints Peter & Paul, closer to where most of the pro-Orthodox faction lived, in the village of Urey. Ss. Peter & Paul Russian Orthodox Church of Urey, built 1916. The Orthodox parish cemetery sits on a secluded hillside not far from the church. A small mining village just west of Carrolltown and southwest of Barnesboro is Bakerton, also known as Elmora. The Rusyn immigrants here primarily came from villages in Lisko County (Zatvarnycja, Chmil, Tvoryl'ne, Rajske, Kryve, Solyna, Rybne, Dvernyk, Protisne) with a few families from Subcarpathia, first arriving around 1902. They would travel to St. John the Baptist Church in Barnesboro for their spiritual needs. 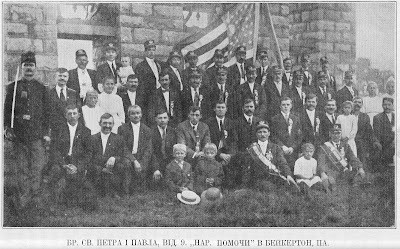 In 1913, these Rusyn immigrants founded the Greek Catholic Church of St. Josaphat in Bakerton. Its pastor was shared with the majority-Galician St. Mary's Greek Catholic Church in Spangler. However, in 1922 it switched affiliation to the Ukrainian Orthodox Church and was renamed Ss. Peter & Paul Church. Ss. 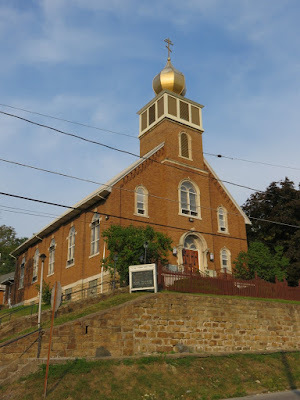 Peter & Paul Ukrainian Orthodox Church in Bakerton today. The churchyard is very similar to those in Rusyn villages in Carpathian Rus', with a separate bell tower and the cemetery adjacent to the church. In fact, the bell tower is nearly identical to the ones in many of the immigrant founders' native villages in Lisko County. The community being mostly from eastern Lemkovyna inclined toward a Ukrainian national identity; the most popular fraternal organization was Narodna Pomič (National Aid), later the Ukrainian National Aid Society, its Brotherhood of Ss. Peter & Paul shown here in 1919. The coal mining company town of Colver was settled by Rusyns around 1915. Most of them came from villages in Šaryš County (Ladomyrova, Krajnja Poljana, Hinkivci, Šemetkivci, Gerlachiv), Už County (Vovkovoje, Dravci, Irljava), Bereg County (Znjac’ovo, Velyki Lučkŷ), Ugoča County (Veljatyn), Maramoroš County (Uglja, Čumal’ovo), and Lisko County (Kryve). Some Rusyns from these villages lived in nearby Revloc and associated closely with the Colver group. After initially being affiliated with the Rusyn churches in Barnesboro, in 1916 Colver's (and some of Revloc's) Rusyns established an Orthodox parish, Holy Ascension. The first Holy Ascension Church burned down in 1921; the church shown here was built in 1922. In 1926 in nearby Revloc, a new Greek Catholic Church, Protection of the Mother of God, was founded as a parish of the Ukrainian Catholic jurisdiction. Church cornerstone in Russian and English. 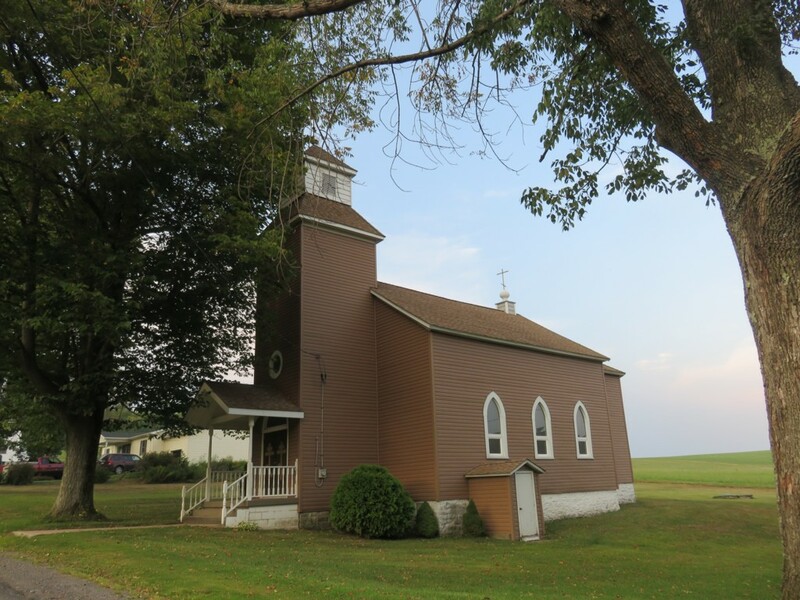 Holy Ascension Church, though small in membership, remains open and shares a priest with Ss. 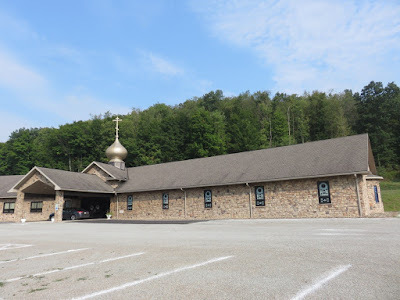 Peter & Paul Orthodox Church of Altoona. I really enjoyed reading all of this information. 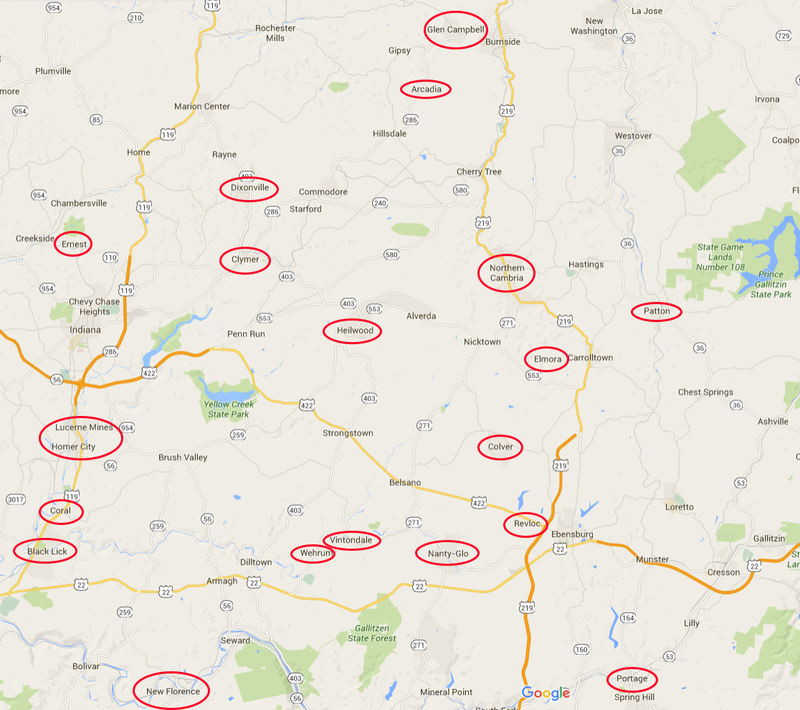 Since you have helped me in the past, you know my family settled in eastern PA. 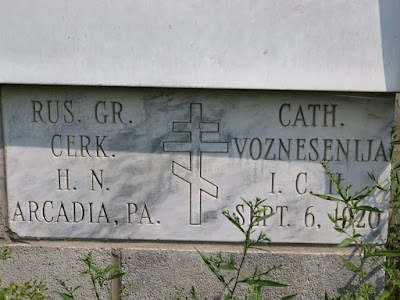 However, I think I may have to start looking for possible relatives in western PA...I remember coming across a ship log for a Maria Drozdiak going to her "Uncle Metro Drozdiak's" (my grandfather) home in Hauto with her destination being Nanty Glo. Never having heard of this town before, I wondered if there may have been a translation problem and perhaps her destination was Nanticoke, which is just north in Luzerne County, in eastern PA. 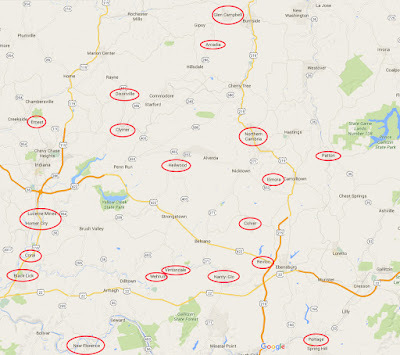 But I then did a search and found that, indeed, the town of Nanty Glo is a real town in western PA! To date I have never known of any relatives in western PA. Did most people coming to the US have male sponsors (or even perhaps "had" to have a male sponsor to come into the Country in the 1890's? I'm just wondering if maybe Maria Drozdiak could have actually been related to my grandmother, Mary Warholiak, but perhaps had to use my grandfather as a sponsor (although I don't know why her last name would have been Drozdiak, unless it was her surname by marriage)? But then why would she have had my grandfather listed as her sponsor (not sure if 'sponsor' was the actual category wording)? I suppose I should have looked through my records and located that ship log before commenting and asking this question. But any thoughts would be appreciated. I see I have left an earlier comment here, so I've obviously read this part of your blog before! You mention St. John's Cemetery in Dixonville as being one of the steepest cemeteries you've encountered. 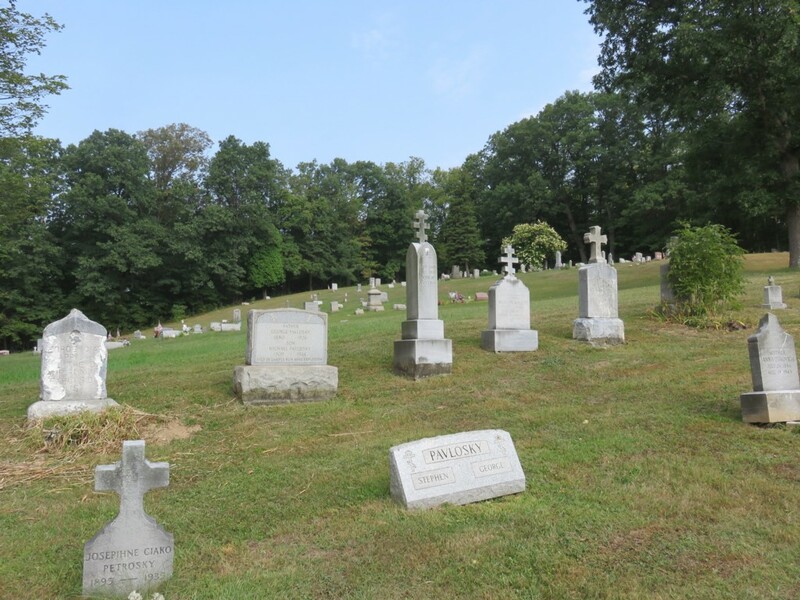 Have you ever been to Nesquehoning PA's St. Mary's Byzantine Catholic Church's cemetery? Next time I go down I will take a picture and send it to you. 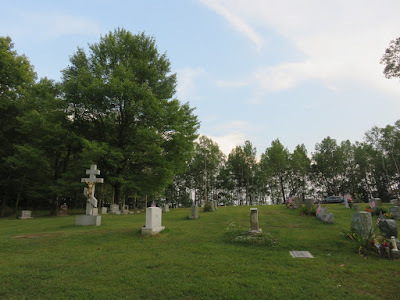 It's not always easy to tell from one photo, so perhaps St. John's Cemetery in Dixonville is on steeper land, but I'll send you a photo and you can tell me what you think. Hopefully I can make it down again very soon to do this. 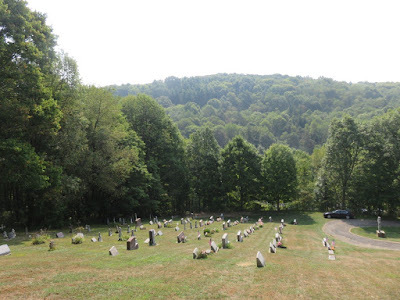 I'm grateful my parents' graves are just off the road inside the cemetery because I could no longer park at the gate and climb the hill up to their graves with my spine!